With the recent passing of boxing legend Muhammad Ali, I have immersed myself in the deluge of media coverage from his life. It’s fascinating to watch clips from the 1960’s and 1970’s when Ali was in his prime as a fighter. He brought a self-confidence to the media never before seen, characterized by a commanding stage presence, a quick wit, and colorful use of rhythmic language. But not only was he charismatic in front of the cameras, he backed up that cocky and controversial persona with his skills in the ring as a boxer. In today’s world of social media and always on streaming video, it may not seem as big of a deal, but 50 years ago, Ali was unique. Ali’s self-confidence was a defining trait that he exuded every time he spoke and in all of his actions. Although Ali may have taken it to the highest level, self-confidence has long been a characteristic admired and sought after both in work and in social settings. People equate self-confidence with success. And like it or not, appearances and perception are important. If you want to be successful, having strong self-confidence is a step in that direction. At one time or another, most of us have wanted to be more self-confident. Maybe before a public speaking opportunity. Maybe in a social setting. Maybe presenting to our boss. No matter the situation, we tend to admire those that can command a room and appear to have everything under control. But while the outward appearance of being self-confident may seem completely natural to some, for most people, self-confidence doesn’t come easily. And like other skills and behaviors, self-confidence can be learned and developed. Self-confidence is the belief in oneself and one’s powers or abilities. Success starts with a strong belief in oneself. If you don’t believe in yourself, why should someone else? Most people are much too hard on themselves. They beat themselves up for every little thing. Isn’t life hard enough as it is? If you lack self-confidence, changing your attitude is a first step in the right direction. Start believing in yourself. For most of us, familiarity is a big part of self-confidence. When you are comfortable, in your element, surrounded by people you know, it’s easier to be confident. Self-confidence is also knowing that you can handle uncomfortable situations, unknown environments, and new people. Self-confidence isn’t the same as cockiness. Cocky people are annoying. Maybe they’re over-confident. Maybe they’re under-confident. But either way, don’t be cocky. Ali was one of the few people that could pull off being cocky. And he was the heavyweight champion of the world in a sport known for bragging. For the rest of us, confidence coupled with humility is the way to go. There is nothing like having a strong belief in yourself, knowing it, but not showing it off. You do not need to be the center of attention to be self-confident. Preparation. I’ve always believed that I could work harder than the next guy and be successful. And while I cannot control every situation, I can be better prepared than everyone else. Nothing drains your confidence more than feeling unprepared. Imagine sitting in school, or in your boss’ office, or in front of a group of people. What if you not only knew the answer to every question that was asked, but you knew ahead of time which questions would be asked? There is no substitute for hard work and no excuse for not being prepared. Practice. It’s an extension of preparation, but when you have an upcoming situation where you want to come across confident, it’s a good idea to spend some time practicing how you will act and what you will say. Visualize the entire process from start to finish. Whenever I have to speak publicly, I typically practice at least 10 times in front of a mirror beforehand. Practicing will improve your performance, but it will also give you more confidence about what you are saying and how you are saying it. Pretend. And lastly, as the saying goes, “fake it until you make it.” Unlike emotions, behaviors can be controlled. Whether you “feel” confident or not isn’t as important as whether you act confident. Worrying about things won’t change them, so don’t bother. As long as you have prepared and have practiced, you will do fine. And over time, as you continue developing, the external display of confidence will help you start to feel more and more confident. And eventually, you won’t need to pretend anymore. Readers, are you confident? Did it come naturally or did you need to work at it? Do you have any other suggestions about how to improve your confidence? Previous Post: « Frugal or Cheap? In some avenues, my self-confidence is innate. Everywhere else, I’ve had to practice and fake until I’m there. I had my first client at my LLC last summer and I had to walk a tight-rope of showing my client that I was able to handle their business and also letting them know that I’m not a braggadocio. (I learned how to handle their business roughly a day before they came in every time). Now I’ve had a few more clients and my confidence has grown from practice and knowledge. Until I knew what I was 100% certain, I would practice my client meeting alone and with my girlfriend. It helped so much. I even wrote down everything I needed to say. If you have confidence in one area, it’s nice to leverage that into other areas where you are less comfortable. Sounds like you have a good strategy in place. Knowing your strengths and weaknesses is a must, play to your strengths and push them to get ahead, but admiting your weaknesses will get you a ton of respect very quickly as well. If you can say “I’m not the person for this job” and pass along a name of the person who is, you win on 2 fronts – admiting you can’t do it all and recommending a co-worker that will be able to return the favor. In my last role, we spent considerable time focusing on strengths. Check out the book StrengthFinders. It’s a quick easy read and helps you determine your strengths and how best to use them. I have found it increasingly important as I age to do a lot of self talk. the classical CBT. Celebrating small wins has become important as the crazy day to day struggles of parenting, working all build the stress levels. I have found great support in blogging and when someone tells me that I offered something useful, that brings a smile and satisfaction. Thank you for the compliment. I agree, blogging is a nice opportunity to give and receive feedback. And being able to use that feedback to build confidence is a smart strategy. I was an extremely introverted person before I met my wife, she brought out a lot of confidence in myself. I’m still not super confident, however I’m much better now. 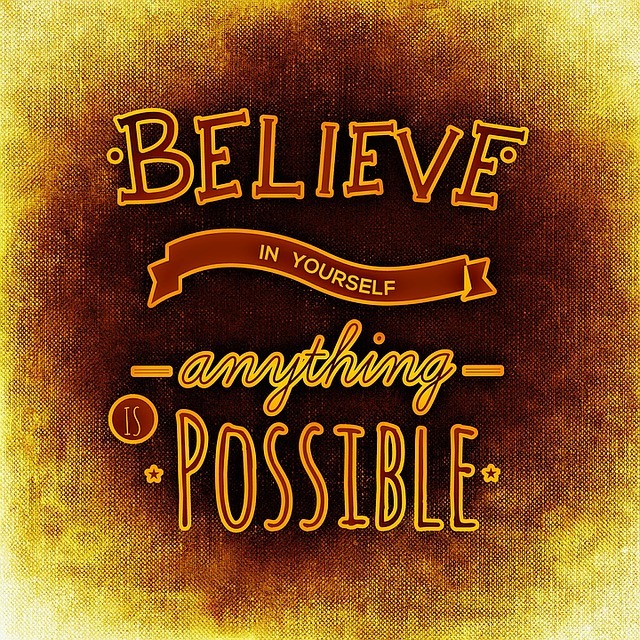 I think having the belief you can do something is extremely important for confidence. I like your preparation idea, it’s kind of hard when your boss isn’t prepared though, haha. In my first “real” job, I was a beginning consultant and was brought in to observe a more senior manager present a deal to the partner. I had already presented a few deals to this partner and knew that he expected you to have an answer for every question. If you couldn’t answer on the spot, you needed to have the information in hand to find the answer. The senior manager was not prepared and got ripped by the partner. Since then, I have learned that it’s better to be over-prepared than under-prepared. In my first “genuine” occupation, I was a starting advisory and was gotten to watch a more senior administrator show an arrangement to the accomplice. I had as of now introduced a couple arrangements to this accomplice and realized that he anticipated that you would have a response for each inquiry. On the off chance that you couldn’t reply on the spot, you needed the data close by to discover the answer.